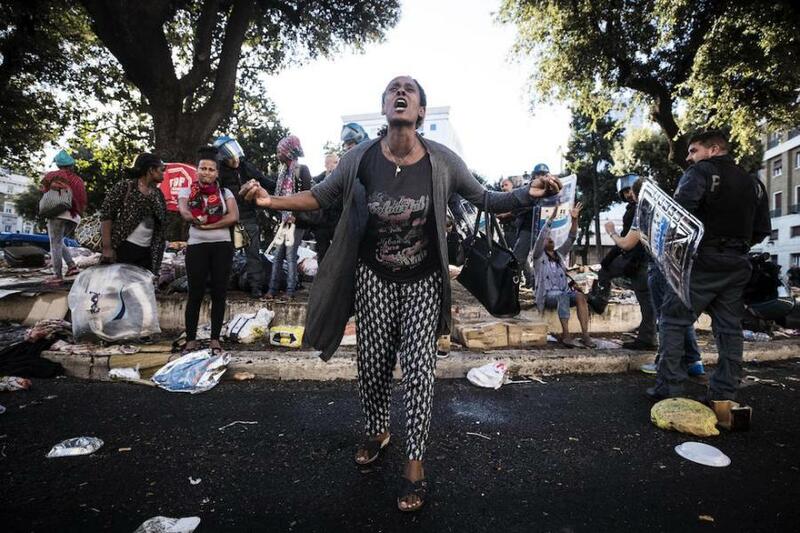 On Saturday about 500 riot cops evicted around 800 refugees from the Palazzo Curtatone refugee squat in Rome, Italy. A part of the evicted people were relocated, others became homeless and occupied a square. This morning riot cops also evicted the square. The Palazzo Curtatone, near the Temini train station in Rome, was squatted in 2013. 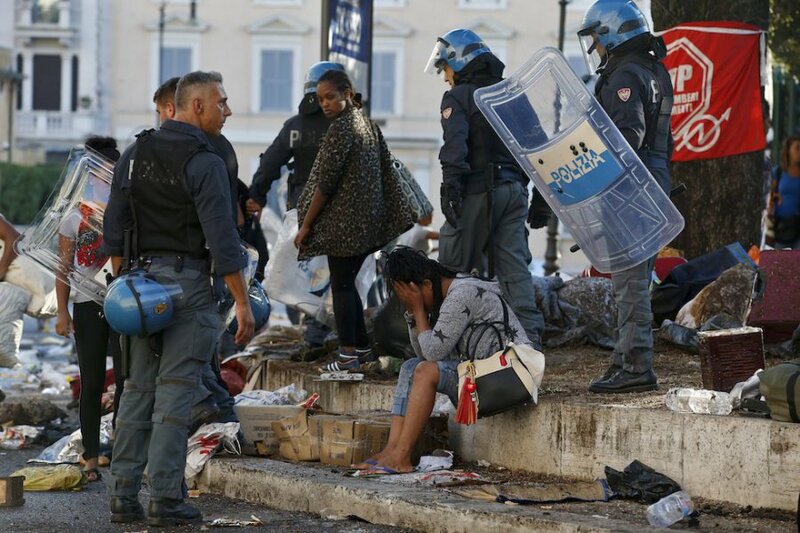 During Saturday’s eviction, riot cops transported the refugees for identification to a police station in Rome. 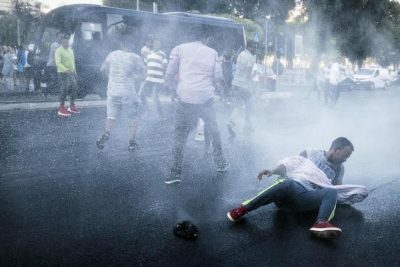 People tried to block the buses which transported people, but reinforcements dispersed the protesting people. Most of the squatters were people from Eritrea who had been granted asylum. Journalists and rights activists documented that several women, including a couple who were pregnant, and children, were among those chased away from the building. In a statement, police authorities said the owners of the building would pay to relocate the refugees but they issued a denial in a later statement. The refugees protested every day against the eviction of the Palazzo Curtatone and in the early morning hours riot cops also evicted the square on Thursday. During todays eviction of the square riot cops used water canons and batons against the homeless refugees. Television images showed some of the refugees screaming and crying after the violent eviction.